For everyone wondering if and when they might see Nate Diaz fight again, the waiting is over. 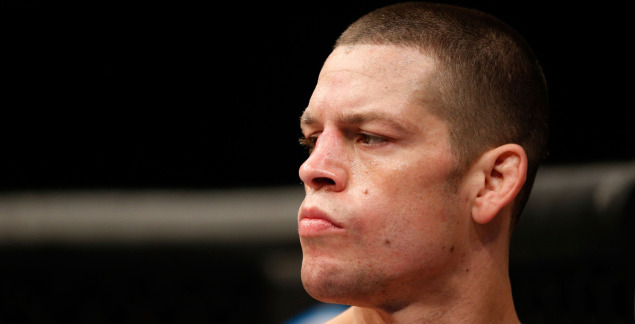 Diaz will return to the Octagon and to the 170-pound division at UFC 189, where he will face Matt Brown. The fight was reported on Wednesday night’s edition of UFC Tonight. Diaz (17-10) last saw action at UFC on FOX 13 in December, when he lost a unanimous decision to now UFC lightweight champion Rafael dos Anjos. Prior to that fight, Diaz had been out of the cage for more than a year on a self-imposed exile. He last fought at welterweight in a losing effort against current No. 1 contender Rory MacDonald at UFC 129 in 2011. Brown (19-13) is fresh off of a loss to former welterweight titleholder Johny Hendricks at UFC 185 in March, which followed a loss to current champion Robbie Lawler. UFC 189 has shaped up to be a stacked card, headlined by Jose Aldo vs. Conor McGregor for the featherweight championship and Lawler putting his belt on the line against Rory MacDonald., on July 11 in Las Vegas.